I am a little late in writing this post, but better late than never. 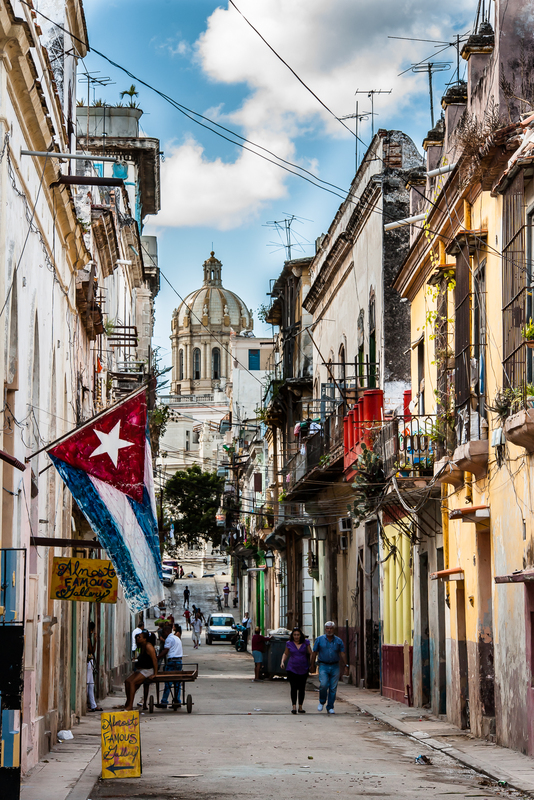 With a lot of change happening in my life right now I found myself thinking back to a somewhat recent and very memorable excursion my wife Marie and I made to Havana Cuba. 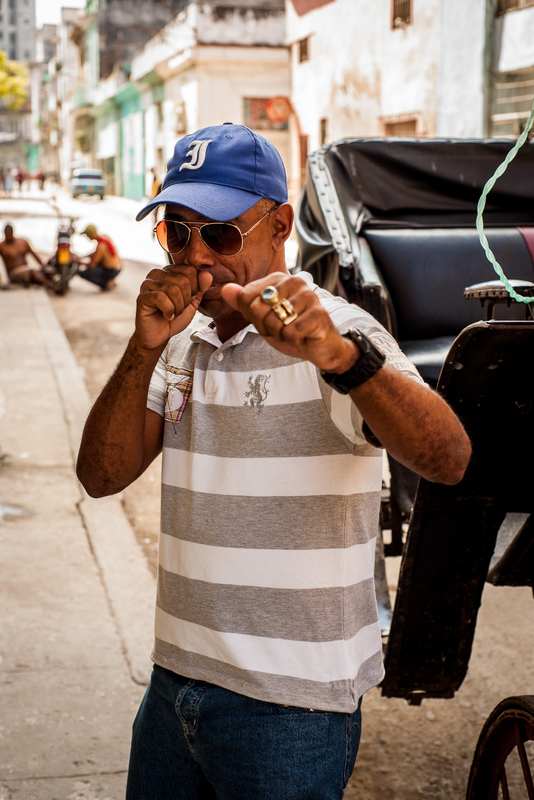 As a photographer the experience travelling to Habana and Cuba itself, was exhilierating to say the least. I felt like I couldn't walk more than a dozen paces with stopping to focus my camera on something new and exciting. The old classic automobiles were one of my particular favourites and shooting opportunities abounded. 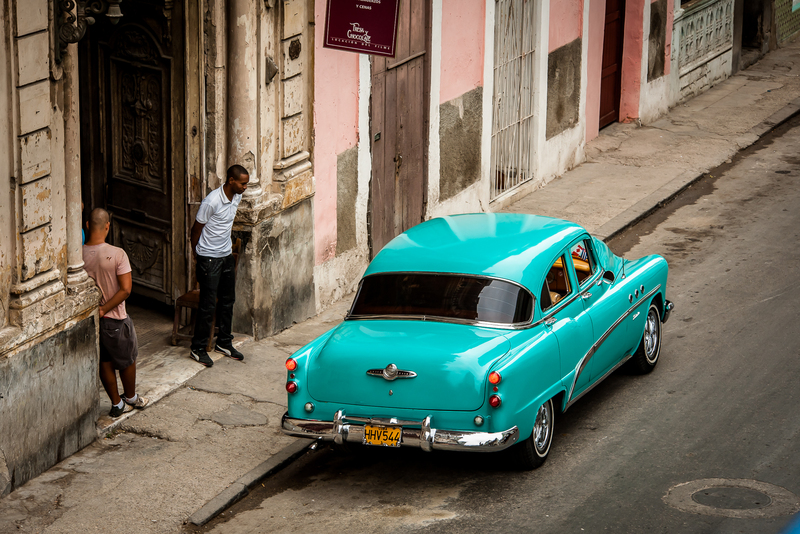 The above shot was one of the first I took upon getting settled in Habana, taken from the balcony of what was our residence for a few days. I can think of no better option than to stay in private accommodations while in the city and is by far my preferred method of travel. Not only were the classic cars in the city abundant to shoot but the locations to capture them were also as unique. Not to say the shots are easy, one has to be patient to get shots of only time period vehicles (which I prefer to get that lost in time feel) and as a photographer you still want to give a sense of place. There is no substitute for bad composition either. 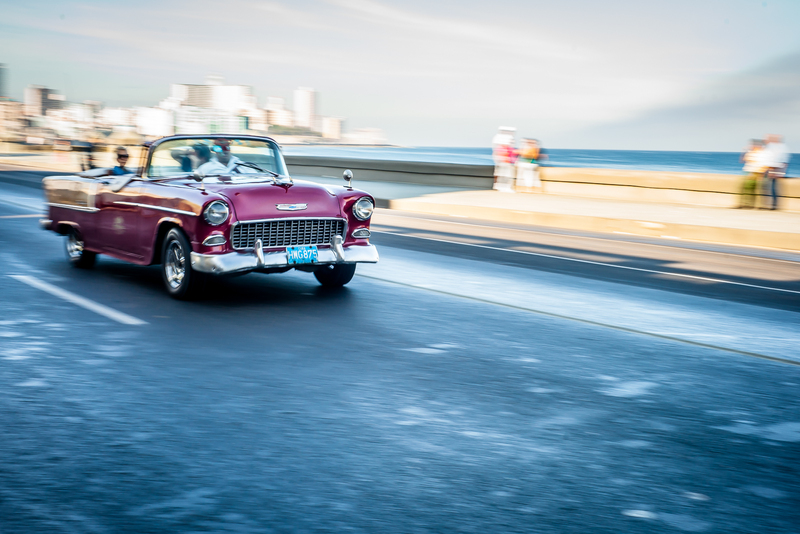 The above shot of the purple convertible was taken along the Malecon, a long seaside boulevard, and I used a slow shutter speed to emphasize the blur and sense of motion. The picture of the green 48 was taken along one the colourful streets of the city. Just as interesting as the cars were the people. 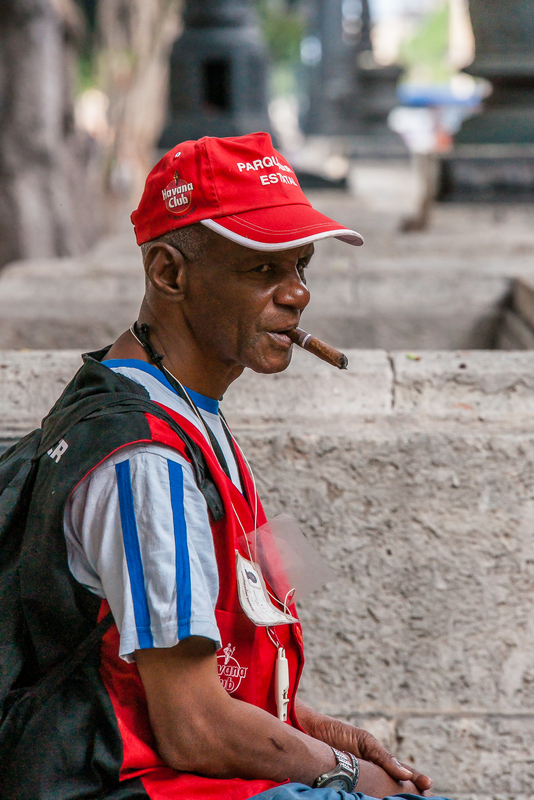 I found the daily life in the city fascinating and the people were both friendly and colourful as their surroundings. As one who considers himself a traveller, my choice is to explore a city on my own terms, but the top photo of a gentleman named Damien was taken after a horse and buggy tour he gave us of the city. 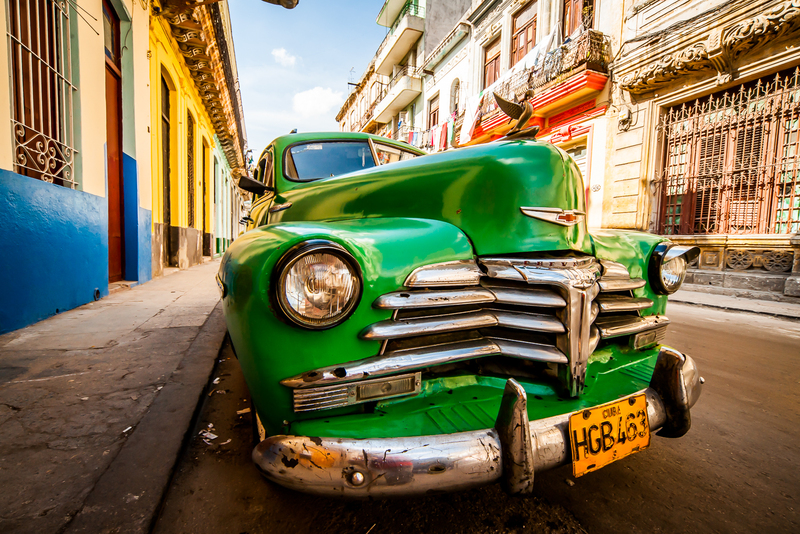 And when visiting Habana there is nothing like a city tour and cruise down the Malecon at night in a classic convertible to feel like you are stepping back into the 50's. 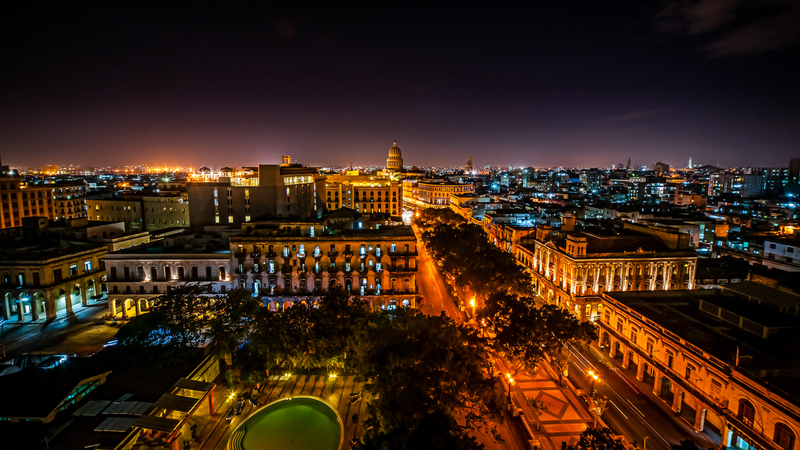 The night time in old Havana, Habana Vieja, provides spectacular views, this one from the restaurant atop the Biltmore Hotel. 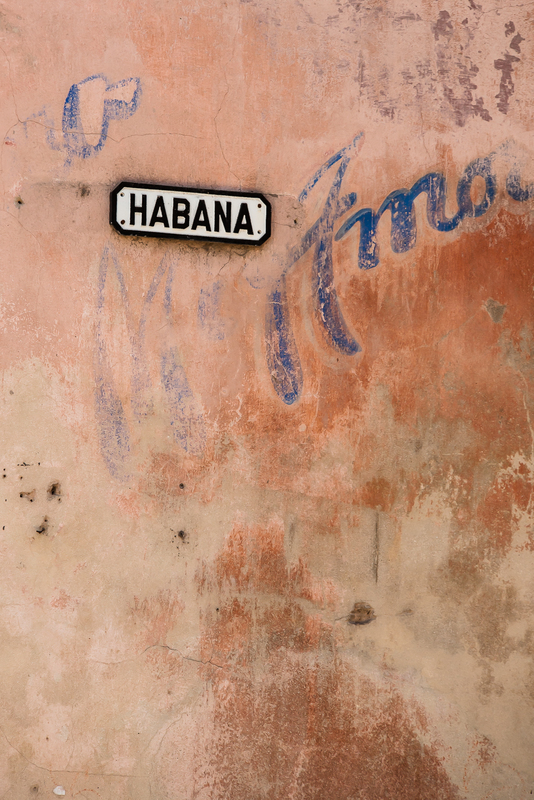 One thing that you are constantly reminded of in Cuba is its history. The overpoweering presence of the Capitol Building is visible from almost everywhere I seemed to go in the city and seems to reinforce that sentiment constantly. 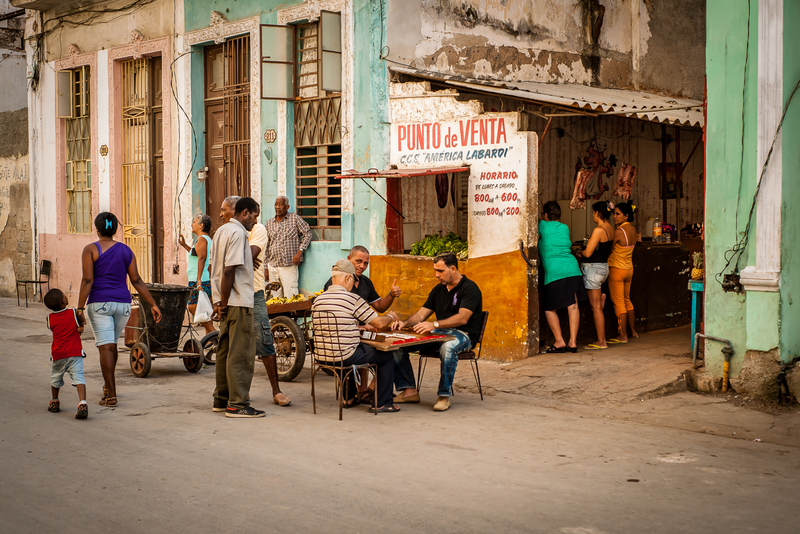 I think this last shot is one of my favourites and gives me a personal connection that draws me back to visit Habana and Cuba again. The travel images in this blog are available for license and more can be seen at www.fulcrumimaging.com . Robert Greatrix is a Toronto based professional photographer who is available for freelance travel, corporate and commercial work.